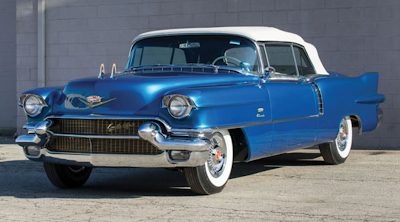 1956 Eldorado Biarritzes did very well yesterday at the Auctions America auction held in Fort Lauderdale. This Bahama blue Biarritz sold for $240k and that is before commission! Equally impressive auction results were realized for this factory a/c Alpine White example. At the same auction, this car sold for $212,500 plus commission. Not bad for a 14 year old restoration. The Eyes On Design car show is looking for a 1956 Biarritz. If you are in the Michigan area and would like to attend, please read the details below. The 29th annual EyesOn Design will take place on Father's Day, June 19, 2016 on the beautiful grounds of the Edsel and Eleanor Ford House in Grosse Pointe Shores, Michigan. This automotive design exhibition is the major fund-raiser for the Detroit Institute of Ophthalmology, and the only car show in the country that is dedicated to design. 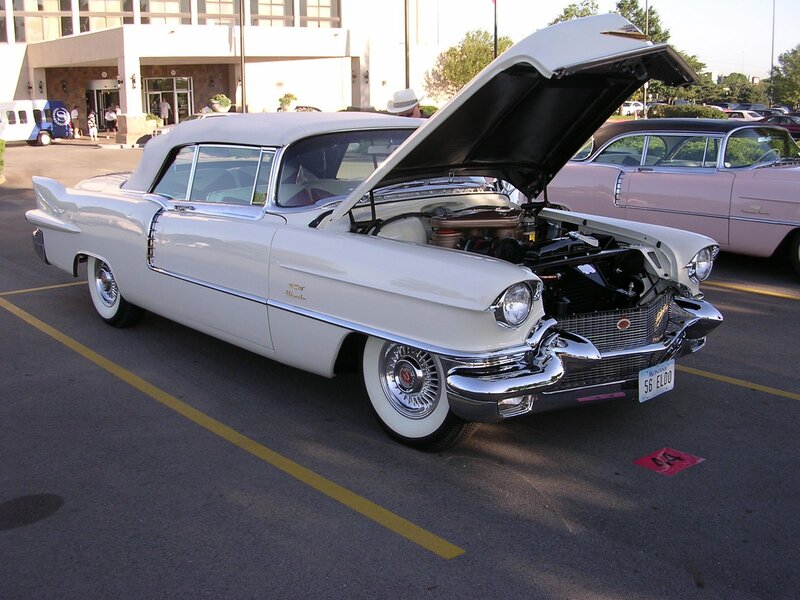 The show's overall theme will be "Powered by Design", and one of several featured categories will be Cadillac Eldorado 1953-1966. We seek stock-appearing, pristine examples for this closed-hood event. Admission is free for the exhibitor and a guest ($60 value), and includes complimentary breakfast and lunch, the official program, event poster, and a commemorative license plate with attached cloissonne badge. The Edsel and Eleanor Ford House, located on the shore of Lake St. Clair, will be open for free tours on the day of the show. 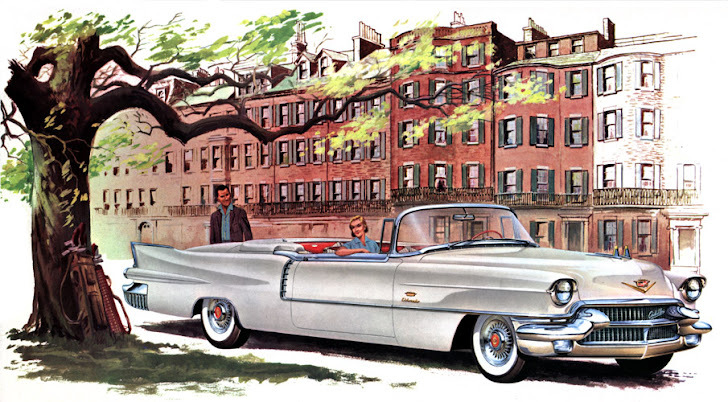 We are planning on having 14 Eldorado convertibles (if possible) in the display, one from each year 1953-1966. As the owner of a 1956 Eldorado Biarritz, it would be greatly appreciated if you would give this event your consideration. 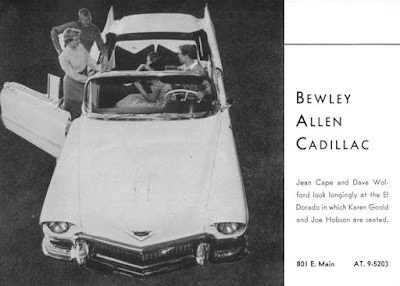 Here is a great old advertisement from Bewley Allen Cadillac. Brought to us by Jim Jordan, the director of the Cadill-Ikes Chapter . Thanks Jim! Please don't forget to subscribe to this roster for email updates! More survivors to come soon! Subscribe to the roster to receive email updates. Very easy to do!